Providing dental and oral health care to all children in Kerala remains a thorny challenge. Lack of community water fluoridation, dental workforce shortages and geographical barriers all aggravate oral health and access problems. Children from low-income and minority families and children with special needs are at particular risk. Family centered disease prevention strategies are needed to reduce oral health disparities in children. Oral health promotion can take place in a primary care practitioner's office, but medical providers often lack relevant training. Present study was conducted to evaluate knowledge and attitude of graduating medical students towards infant oral health qualitative methods were used to evaluate the program. The association between plaque and caries in older children and adults has been poor, however, some studies show that there may be a relationship in younger children. The aim was to study the relationships between dental caries and dental plaque among 12-36-month-olds in Tehran, Iran. A cross-sectional study among a stratified random sample of 504 children aged one to three years from 18 public health centres in Tehran. Mothers were interviewed about their child's date and order of birth, gender, primary caregiver, the mother's age and the educational level of both parents. Dental examination was carried out according to the WHO criteria. Early childhood caries (ECC) was defined as the presence of any dmf teeth. Dental plaque was visually inspected on the labial surfaces of upper central incisors. Data analysis included Chi-square test, t -test, anova and logistic regression modelling. The prevalence of ECC ranged from 3 to 33% depending on age group, with a mean dt of 1.1 for 26- to 36-month-olds. No gender-differences existed in ECC prevalence and mean dt. Dental plaque was visible on at least one index tooth for 65-75% of the children. Presence of ECC was related to the presence of dental plaque (OR=1.5; 95% CI 1.0-2.3) when controlling for background factors by means of logistic regression. 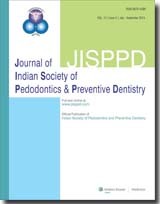 The high occurrence of visible plaque and rather high ECC prevalence call for improvement in oral health promotion programs of the children. 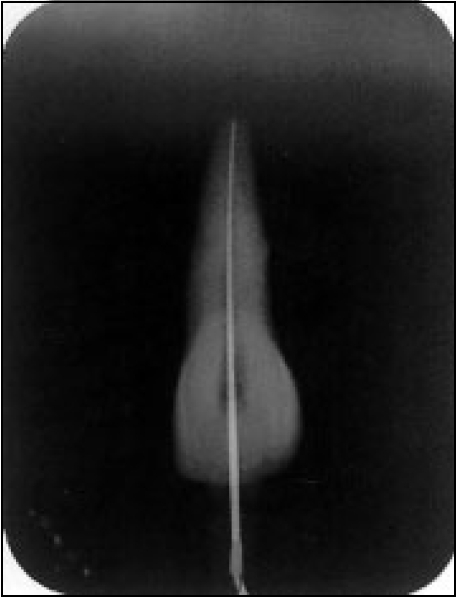 Determining the root canal length accurately had been a challenge in endodontics. Introduction of apex locators have definitely served as an effective adjuvant to radiographs. This in vitro study had attempted to compare the effectiveness of electronic apex locator in the presence of various canal contents. Comparison of the length determined by apex locators with the radiographic length was also made. The results of the study had shown that the length of root canals can be accurately made irrespective of the canal contents. This study is an attempt to compare the NiTi rotary and K-files hand instrumentation on root canal preparation of primary and permanent molars for their efficiency in preparation time, instrument failure and shaping the canals. 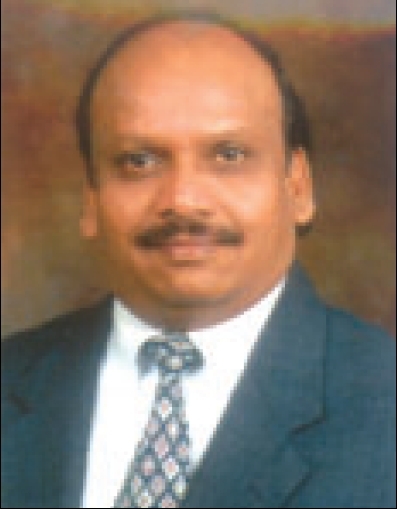 About 20 primary mandibular second molar (I) and 20 permanent mandibular first molar (II) were selected. Each was further divided into 10 for K-files (a) and 10 for NiTi (b) groups, respectively. Results showed that preparation time Ib<Ia and IIab<IIa, which was highly significant. In instrument failure, Ia (40%), IIa (30%) showed more deformation but not fracture and Ib (10%), IIb (20%) showed fracture, but not deformation. Profiles showed good canal taper and smoothness compared to the K-files. To conclude profile 0.04 taper 29 series, prepared canal rapidly than conventional K-file with good taper, smoothness though the flow was not satisfactory. Instrument failure with K-files was less. In primary teeth preparation time, instrument failure with profile was less compared to the permanent. To conclude it's encouraging to use the profiles in primary teeth. This investigation was conducted on 110 individuals, (40 males and 70 females) in the age range of 12-18 years. The results revealed the mesiodistal crown dimensions of teeth of males to be more than that of the females. 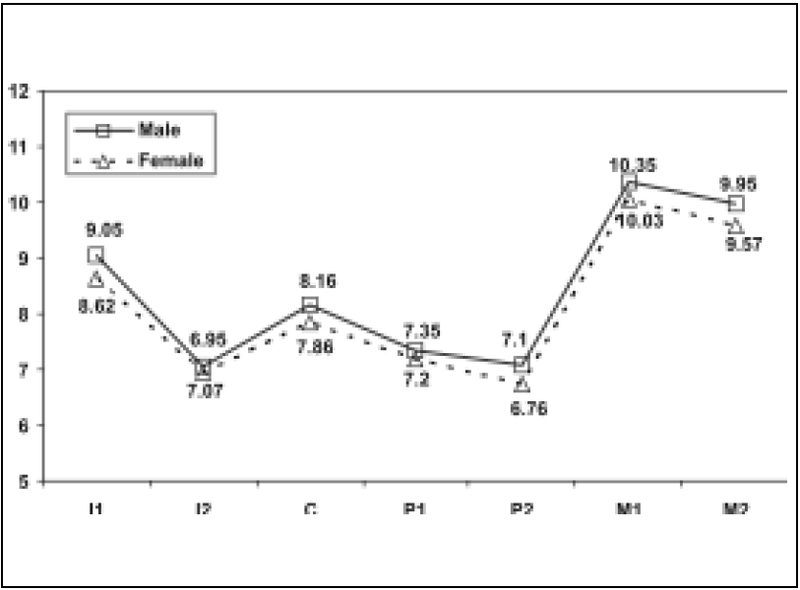 Further the ratio of the mesiodistal crown dimension of the maxillary lateral incisors to the maxillary central incisors was 80% in females and 78% in males. The total arch length in males was 117.77 mm in maxilla and 111.60 mm in mandible, while in females, the figures were 113.98 mm in maxilla and 107.10 mm in the mandible. A 13-year-old boy had fractured his maxillary right central incisor. The fracture line involved 2/3rd of the crown, compromising the pulp and extended subgingivally on the palatal aspect invading the biologic width. The procedure used to manage this case included endodontic treatment of residual tooth orthodontic extrusion to move the fracture line above the alveolar bone. Finally the tooth was restored prosthodontically. 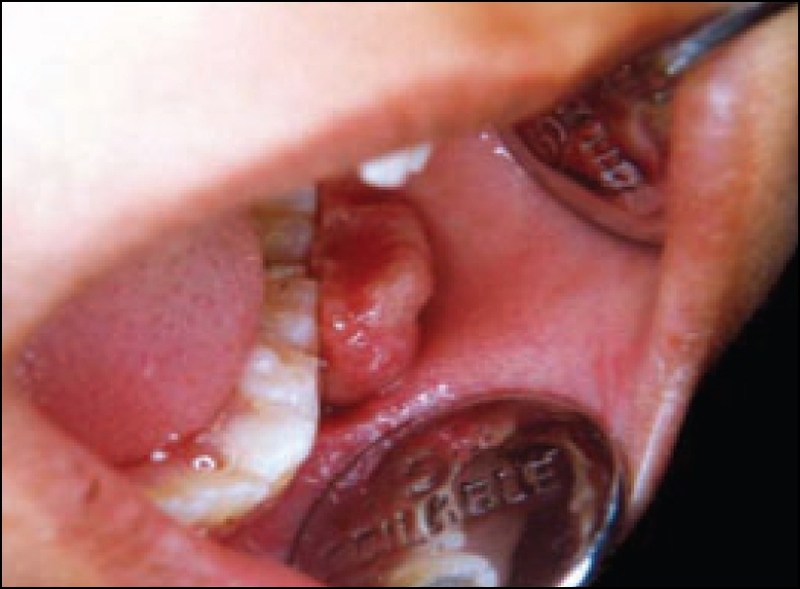 Soft tissue enlargements of the oral cavity often present a diagnostic challenge because a diverse group of pathologic processes can produce such lesions. An enlargement may represent a variation of normal anatomic structures, inflammation, cysts, developmental anomalies and neoplasm. Within these lesions is a group of reactive hyperplasias, which develop in response to a chronic, recurring tissue injury that stimulates an exuberant or excessive tissue repair response. The pyogenic granuloma is a reactive enlargement that is an inflammatory response to local irritation such as calculus, a fractured tooth, rough dental restoration and foreign materials. 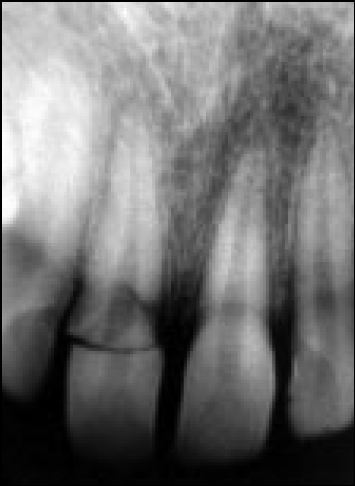 This article aims to present a case of pyogenic granuloma in 8 year old child patient associated with resorption of bone in relation to the tooth. 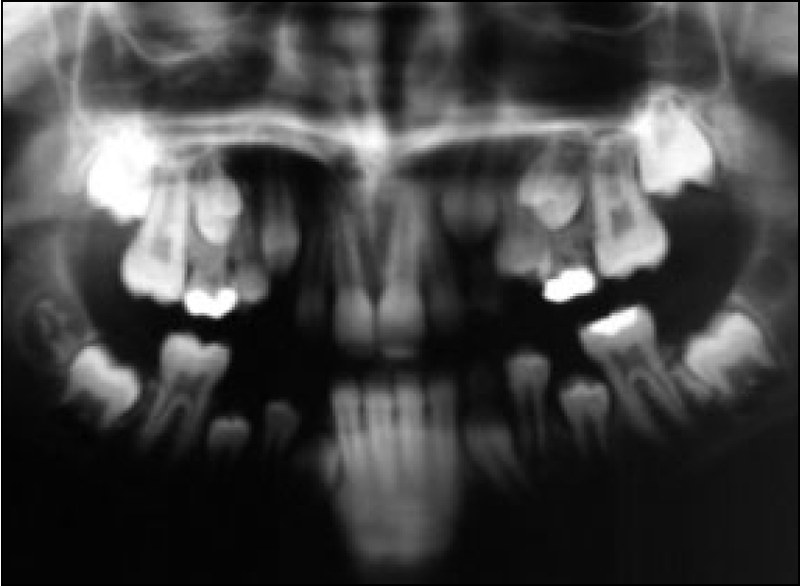 This article reports three rare cases of birooted primary canines. In one of the three cases reported, the double-rooted primary canine was unilateral, which is a unique condition in the dental literature. One of the birooted primary canines was extracted for examination. 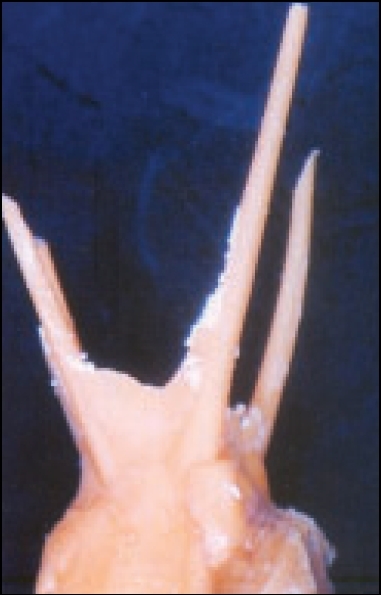 Root canal morphology was examined using the clearing technique and three root canals were detected. The detection of birooted teeth requires a fastidious radiographic evaluation. Moreover, it should be kept in mind during endodontic therapy that the number of root canals might exceed the number of roots for these teeth.